The National Teachers Conference is the best way for new and returning VE teachers and school administrators to get ready for the upcoming school year. 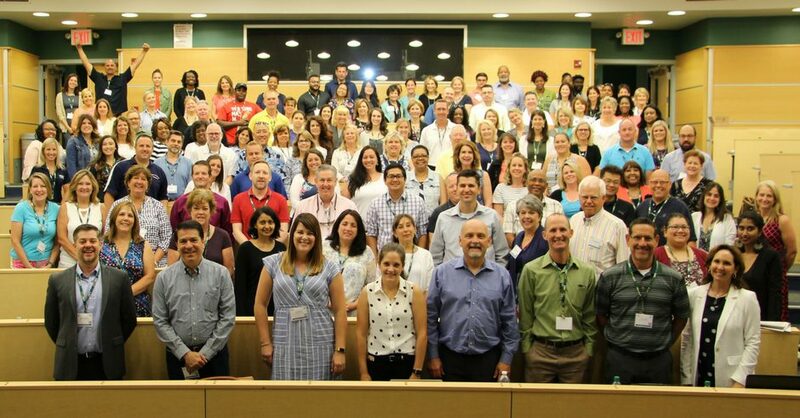 The 2019 National Teachers Conference will be held July 8-11, 2019 at Long Island University Post Campus and will include four days of collaborative professional development, including workshops, presentations, networking, special events, and tours of LIU Post’s campus. Attire: Attendees should plan to dress in business casual attire. Internet Connectivity: Wireless internet will be available for all participants throughout the week. Announcements & Updates: We will be using Remind to send SMS text message updates to participants throughout the week. If you don’t wish to receive these messages, please contact Susan Chan at schan@veinternational.org. Photo Consent Form: We will be taking photos and videos during the conference so please submit this Photo Consent Form to provide VE with permission to include you in communications materials following the conference. As a reminder, there are no additional costs for participating in this training. EventBrite will list your pass as “free” because registration fees are included in the school’s Program Participation Fees for the 2019-20 school year. Please contact us immediately in the event of any issues or major concerns. Susan Chan, National Events Manager, schan@veinternational.org.